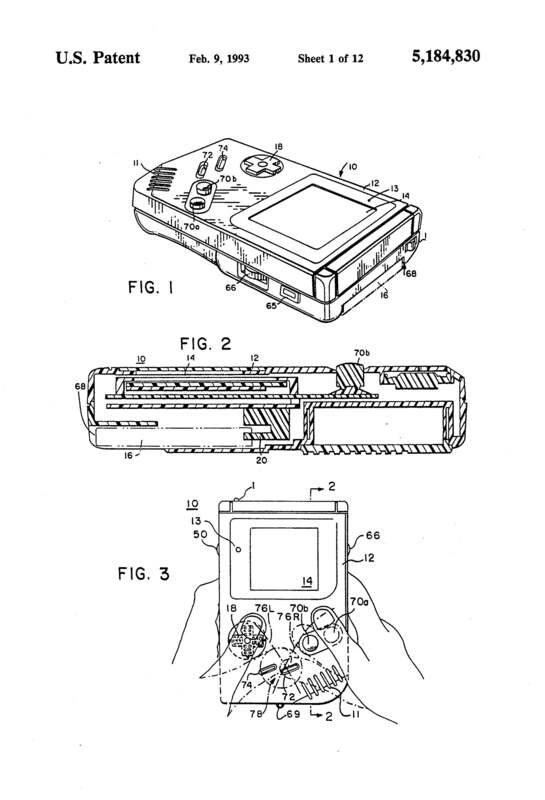 On February 9, 1993, inventors, Satoru Okada and Shin Kojo were granted the patent for COMPACT HAND-HELD VIDEO GAME SYSTEM U.S. Patent No. 5,184,830. The assignee was Nintendo Company Limited. This was the perfect machine for gaming enthusiasts who had been waiting for something that would allow them to play games on the go. Its size and shape made it easy to carry around and store, and its interchangeable game packs allowed the user to play multiple games. The Gameboy® has evolved over time, color changes, thickness, etc., but for the most part it has retained its original look and feel.